Reached maximum number of children! Amazement begins at 1,752 metres. Congratulations! You have reached the summit of winter fun. It is no coincidence that the Roman road runs through the beautiful Obertauern: this Alpine idyll amidst the captivating Tauern mountains never fails to fascinate and impress. Now that you have followed the Roman road to find us, enjoy yourself to the full, and make the most of your holiday in Obertauern’s absolute “top location” with unforgettable views. 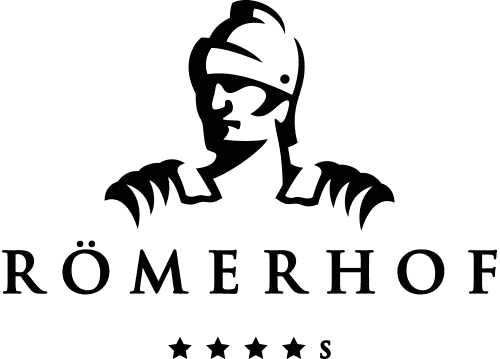 Thanks to its enviable location, our 4-star superior Hotel Römerhof is unique amongst all the hotels in Obertauern. As far as views are concerned, our hotel is a true gem, as well as being your exclusive gateway to 100 kilometres of perfectly groomed pistes, après ski fun and fantastic cross-country skiing. Located right at the heart of the ski area in a winter paradise, our hotel in Obertauern offers everything to blow you away: after enjoying a hearty organic breakfast, you are just a few steps from wonderful times in the snow. The hotel's ski bridge connects our ski depot and the skishop directly to the pistes, without detours - and to more than 26 state-of-the-art cable cars, chairlifts and drag lifts. Your last descent takes you right back to the Römerhof. Leave your skis in the depot, come in, and enjoy an atmospheric end to the day in the Römerbar, and delight in a sophisticated dinner before retiring to your room at our hotel in Obertauern. “As good as it gets.” - That’s how you could sum up our top location in Obertauern. Not only is our hotel located next to the entrance to Obertauern’s stunning ski paradise, our hotel in Obertauern is also alongside the starting point for the 26-kilometer World Cup trail, offering clear, unobstructed mountain views. This cross-country trail invites skaters and classic cross-country skiers to enjoy sporting activity surrounded by mountain views and wonderfully fresh mountain air at nearly 2,000 metres above sea level. It's only closer on the piste. Whether you’re a beginner or “frequent flyer”, skier or snowboarder, piste perfectionist or powder freak: with us, you’re never far from success. Right in front of our 4-star superior Hotel Römerhof - our very special hotel amongst Obertauern’s hotels - is the meeting point for the Koch, Blue Tomato and CSA ski and snowboard schools. The term "guarantee of snow" is an extremely popular advertising claim. Reliable snow means reliable income and secures the livelihood of numerous winter sports resorts in the Alps. At an altitude of 1,740 metres, Obertauern is the highest located winter sports resort in the state of Salzburg and has always prided itself on its natural snow reliability – a feature which has now practically been scientifically proven and state-certified. 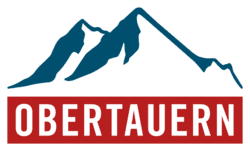 Günther Aigner, the renowned ski tourism researcher, has found that Obertauern has the greatest snow depths in Austria. Fashionable accessories, supremely reliable professional equipment and professional service: the renowned “Skiworld” sports shop within the hotel offers everything you need for the “best time of year” - winter in Obertauern at the Hotel Römerhof, Obertauern’s most centrally located hotel. The Family Hotel Römerhof in Obertauern promises wonderful and carefree family holidays in Salzburg with many special offers and attractions for kids. Enjoy firn snow conditions and sun with amazing panorama. Relaxing holiday for singles with children. Enjoy the time together away from everyday life without stress and without worries. Learn to ski from € 225, -! For families with children up to the 15th birthday the Obertauern snow rabbit "Bobby" keeps something very special ready. Firn snow and sunshine… benefit not just at the beginning and end oft the season from perfect slope conditions. In a peaceful and friendly environment, you can experience the magical Advent season at its best. Give yourself a few days off and relax in the midst of the glittering, snow-covered landscape of Obertauern and escape the Christmas hustle and bustle.